Please use English alphabets and/or numerals. 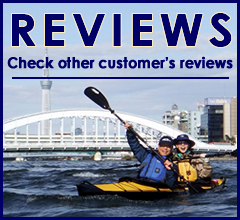 If you are experiencing difficulties with the online booking, kindly send us an email to info@tokyokayaking.jp. Thank you. We do not have confirm page, so please check before you send. Check here if you have checked all the information. We have recently been receiving inquiries that our e-mails have not been reaching you. There may be cases that you or your ISP may be using a "spam" filter that inadvertently blocks the email sent from our address. We at Tokyo Great Kayaking Tour reply to your inquiries within two business days (excluding saturdays and sundays). If you experience any delay or have not received any reply, please check your spam folder first. If you still can not found our e-mail, could you kindly let us know and we will get back to you as soon as possible. Thank you !